Dietrich College of Humanities and Social Sciences › News › News Stories › 2019 › January › Carnegie Mellon Historian, Collaborating Artists Debut "Casop: A Requiem for Rice"
“Casop: A Requiem for Rice” a new contemporary classical symphonic work that tells the stories of Africans enslaved on Lowcountry South Carolina and Georgia rice plantations, will premiere at 7 p.m., Feb. 13, at the Carnegie Music Hall in Oakland. Edda L. Fields-Black, associate professor of history at Carnegie Mellon University, is the project's executive producer and librettist. "'Casop' is a new approach to teaching slavery, one that takes the humanities into a new realm. We are taking history off the shelf and putting it on the stage," Fields-Black said. "We mourn the souls of the enslaved who died, their bodies unburied, their suffering unmourned and their sacrifices unmarked." 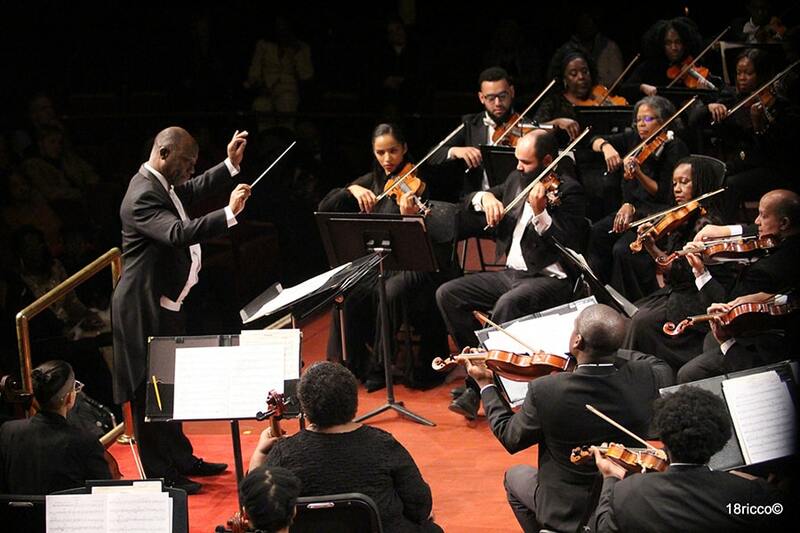 View highlights from the "Casop: A Requiem for Rice" orchestral debut on Feb. 13, 2019. Composed for full symphony orchestra and choir, the new work is an African and African-American inspired take on a classic requiem — in the spirit of Verdi, Mozart, Faure and Britten. The orchestral debut has been supported by the Alfred P. Sloan Foundation, and the original score has been commissioned by the Pittsburgh Foundation’s Benjamin Harris Memorial Fund and Nicky Horvitz Gordon Memorial Fund, the Heinz Endowments Small Arts Initiative and the Opportunity Fund. Pictured above: The Colour of Music Orchestra performs "Casop: A Requiem for Rice." Photo credit: Ricco J.L. Martello. Pittsburgh Post-Gazette review of "Casop: A Requiem for Rice"